Joseph David was born between 1745 and 1749 during the exile of Jean Pierre David and Marie Magdelaine Monmellian from Louisbourg after the 1st siege of Fortress of Louisbourg in 1745. Virtually nothing is known of Joseph's date and place of birth at this time. 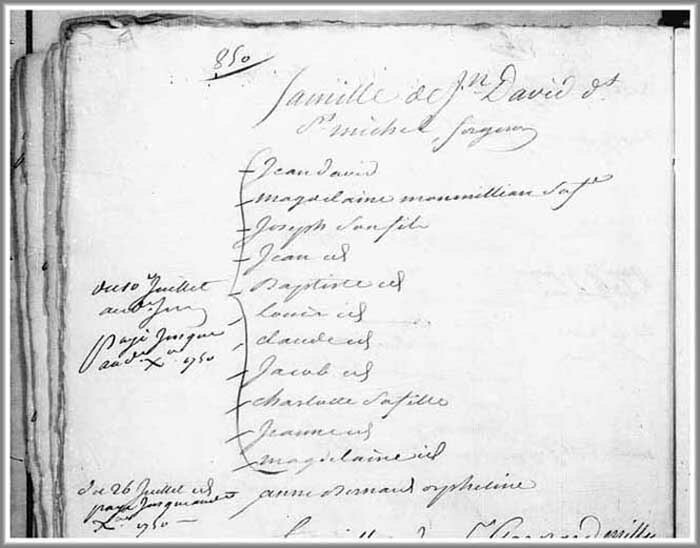 After the Louisbourg 1749 - 1750 Census, as indicated in the the primary source recording above, no other life event recordings has yet been uncovered which tells of the infant, adolescent and/or adult life of Joseph David. 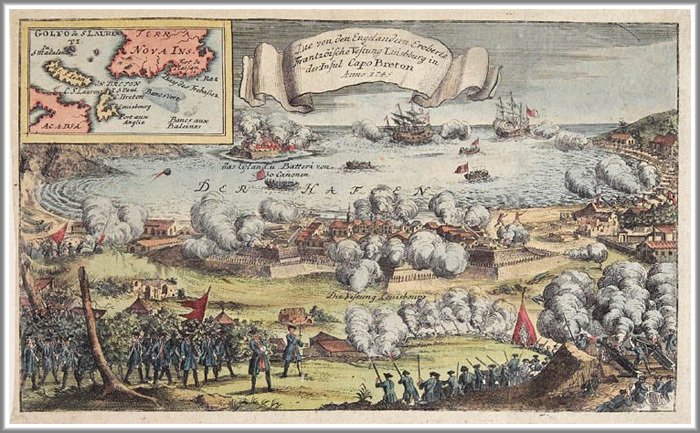 Joseph's documented presence in Louisbourg is not recorded in the secondary source Family Reconstitution File of his father, Jean Pierre David, which is archived at the Fortress of Louisbourg National Historic Site of Canada. This Family Reconstitution File was abstracted and compiled from original source documents archived at the Archives of Canadian and the Archives Nationale.